Administrators may create and assign a fax-only extension on the AT&T Office@Hand online account. A Fax Only extension is helpful when you want to store and find your faxes in one mailbox. Assigning your Fax Number to an extension is needed for AT&T Office@Hand accounts to prevent callers from hearing your Company Greetings instead of a fax sound. Log in to your AT&T Office@Hand account, the go to Phone System > Groups > Others > click New Message-Only Extension. 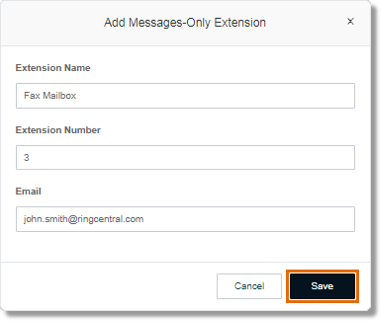 Type the Extension Name, Extension Number, and Email address for the Extension. Click Save. 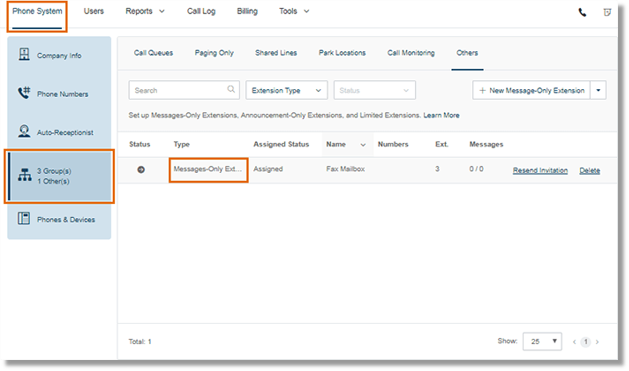 Under Phone System> Groups > Others, select the Fax (Message-Only) extension you just created. On the Extension Info tab, click Resend Welcome Email. 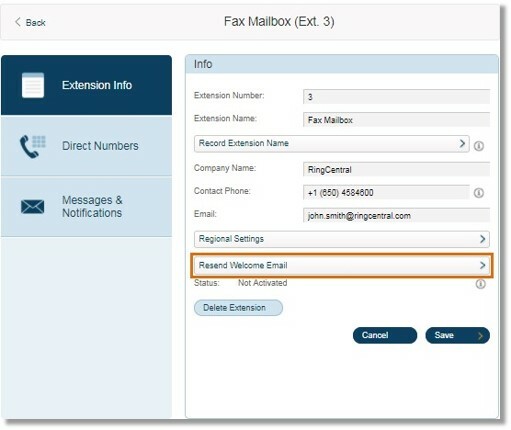 An email will be sent to the email address specified in the Fax extension’s Email section. On the activation email, click on the link for activation.